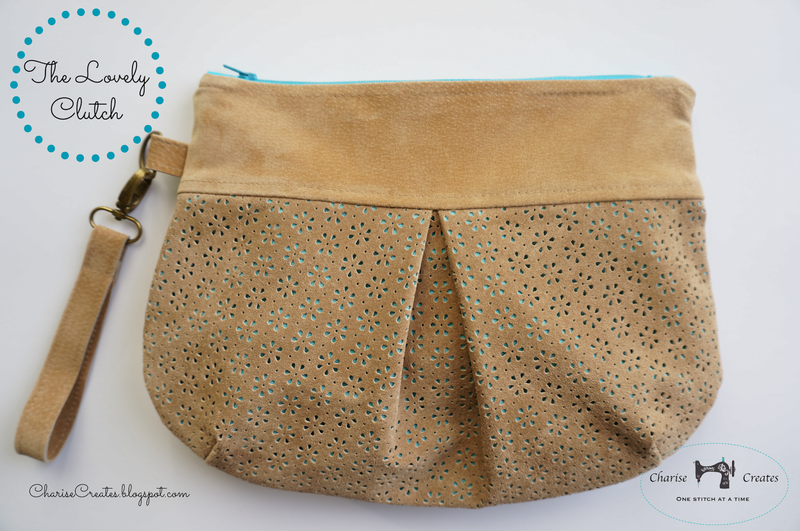 I recently make my Lovely Gathered Clutch with Suede Trim and just love it. The fabric on the left is from Cotton + Steel - Tokyo Train ride. I thought it would be fun to make a clutch entirely in Suede! Through trial and error, I have come up with some tips and tricks that make it possible to have professional results sewing Suede and Leather on your home machine. 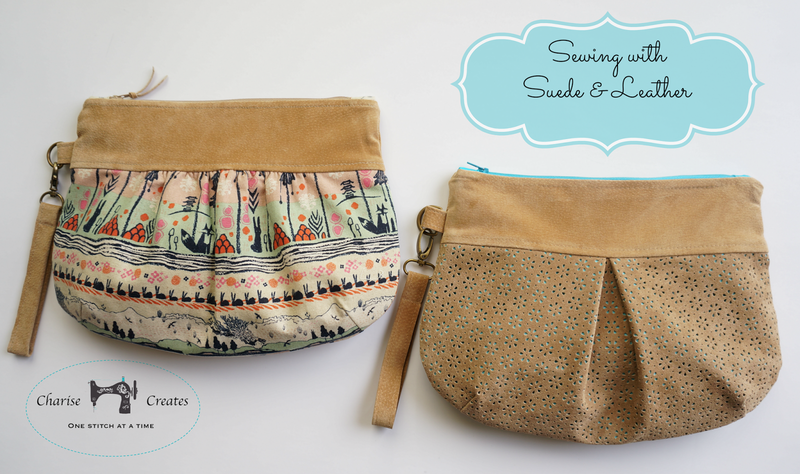 Look for a post where I share my tips for sewing on Suede and Leather. I also could not resist starting another clutch in my new favorite print from Melody Miller's "Playful Line" for Cotton + Steel Fabrics. 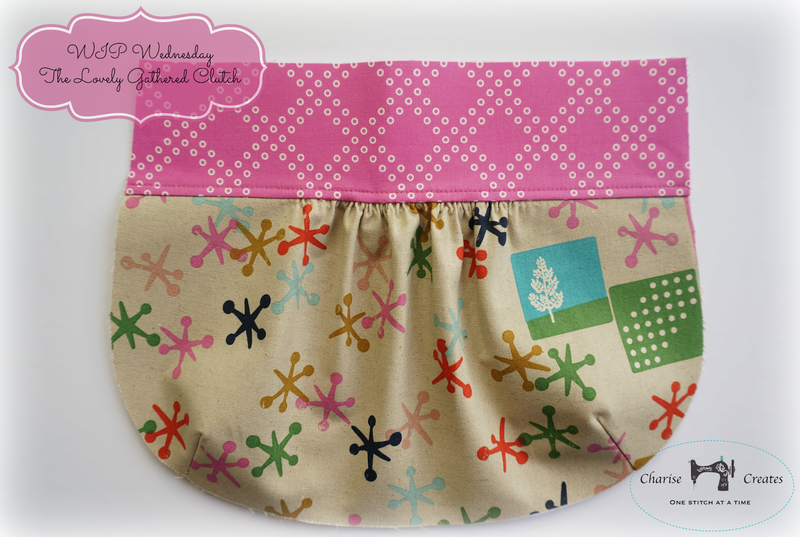 It is a wonderful collage print and I'm looking forward to making more purses with it! The pink border fabric is also from Cotton + Steel. This is such a fun pattern and easy to sew up! Be sure to head on over to Freshly Pieced to see the other wonderful "WIP Wednesday" projects! Love the cotton + steel fabric. I have been trying to be strong and not purchase any more fabric. But Melody Miller's Playful Life line is a must! Thanks for the inspiration! Thanks for sharing your projects with us! Your WIP wednesday is always an inspirations.